Home / Automotive / Brake Repair / Brake Service / When and How to go For Brake Inspection of Your Car? For every car owner, it is necessary to know about the maintenance of the vehicle. Cleaning and washing the vehicle on regular basis is not enough for any car. On a regular interval, it is important to send the car for servicing. Most of the people go for annual full car servicing every year to check the parts and repairing process. However, some parts need frequent services such as brake repairs. The brake is one of those car parts that need to be in best form always. Whether you send your car to garage for full servicing or not, but make sure to check your brakes and related parts frequently for better performance of the car. A brake is an essential safety tool and it mainly converts the kinetic energy of the car to conventional energy. So if you do not repair your brake by hiring some reputed brake repair services and change the brake pads and oil after a certain time, then you cannot control your car speed. When Do You Need Brake Servicing? 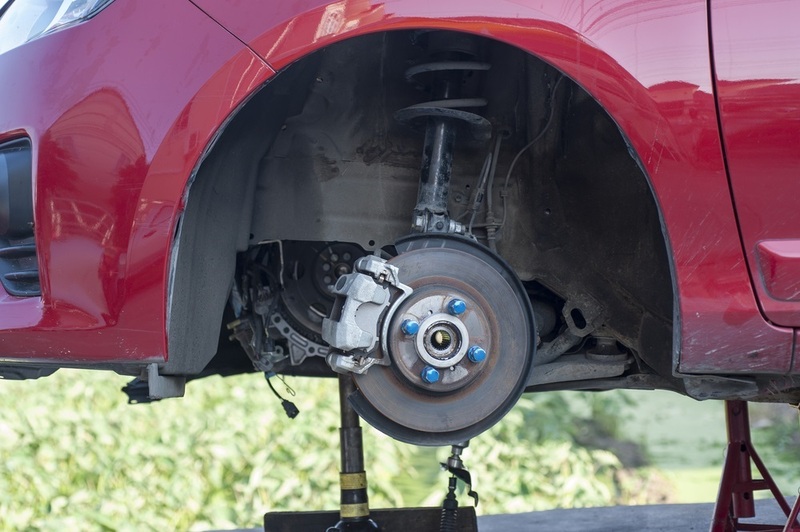 Sound: If you hear a strong metallic sound while applying the brakes then your brakes need to be replaced or repaired. The sound can arrive from any of the sources. First, if the brake pads are worn down, then this sound can be produced. Disc brake and brake caliper are the two metals that create the metallic sound if the pads are worn. In this case, you need to change the brake pads. Secondly, brake repairs needed when a layer of moisture is found on the rotor that creates due to washing or rainfall. This sort of rust can create such heavy sound. However, it gets vanished off once the car starts moving and brakes start applying. An indicator in the brakes makes a high pitch sound while applying it. This indicates that you need your brakes to be replaced or repaired. Look for wear: The brake pads that are pressed outside must be of ¼ inches. Check for them between the two wheels’ spoke. If the pad looks thinner than ¼ inches then one must need to check the brakes. Vibration: If there is a vibration then your brakes can have issues. However, the vibration appears from car alignment problem as well. However, it is recommended to check for brake repairs, if needed due to vibrate unnecessarily. Apart from the brake, you need to check the tyre pressure and clutch of the car to solve this issue. Response from the brakes: If you ever find unresponsiveness of the brakes then it needs to be checked as soon as possible. Brakes are the parts that have to be responsive and swift compare to other parts. If the driver feels it is not responding as it has to, then there must be something wrong with it. Sometime, you can find that the brake fails, and when you control over the brake, it is often not able to stop the car. In this case, you need to check the brake by hiring some brake repair services. Brake pads: A thin block is used to press on the disc brake. Brake rotors and drums: Rotors are used to stop the car. Pads provide the pressure on the disc or the rotors that then perform to stop the vehicle. Brake hydraulics: Hydraulic brake consists of a piston that leads to influence the rotor to stop the car once the driver pushed the brake pedal. When you need your car’s brake repairs then these are the main components that are to be checked for replacement or inspection.